The exciting new 2019 Jaguar XE luxury sedan has arrived at Jaguar Colorado Springs! Sporting a bold Jaguar appearance, the 2019 Jaguar XE is a true head-turner. Featuring the popular Premium trim level, this stunning Jaguar is well-equipped and perfect for your family. 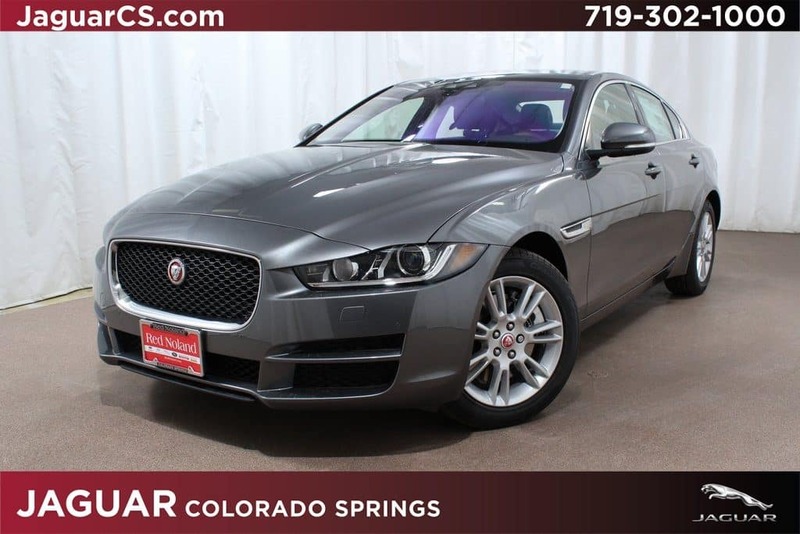 With a low Jaguar Colorado Springs price of only $49,362, this elegant luxury sedan is ideal for any budget. This amazing new Jaguar XE features premium Corris Gray Metallic exterior paint, enhancing the already sporty appearance. Under the hood, a finely-tuned 247-horsepower 2.0-liter turbocharged I4 engine greets the driving enthusiast in all of us. An efficient 8-speed automatic transmission works smoothly with the robust engine to provide optimum performance and fuel-efficiency, earning an estimated 24 MPG in the city and 34 MPG on the highway. The sophisticated all-wheel drive system utilizes the Intelligent Driveline Dynamic software to deliver predictive and reactive traction control in slippery conditions. The engineers at Jaguar have designed the exciting new 2019 Jaguar XE with driver’s needs in mind! * Connect Pro Package – Stay connected while on the road with InControl Apps and Wi-Fi hotspot. Be the first in your neighborhood to own the exciting new 2019 Jaguar XE. Contact our Jaguar experts at Jaguar Colorado Springs today for more information on the stunning new 2019 Jaguar XE 25t Premium in our inventory!